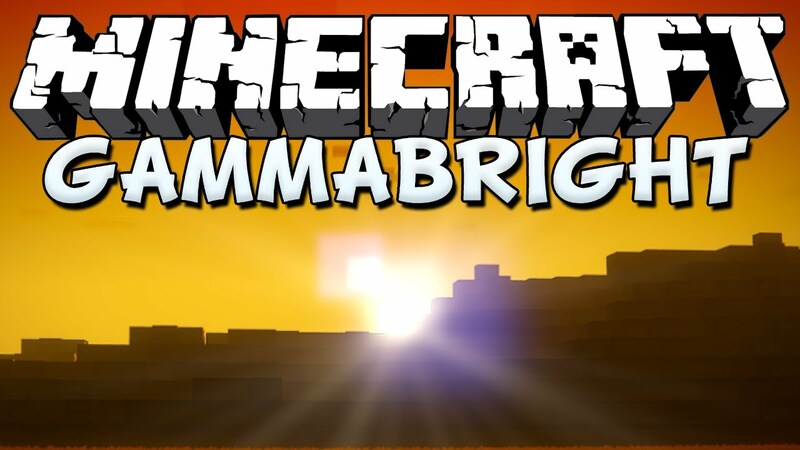 Gammabright Mod 1.12.2/1.11.2 is an advanced brightness/fullbright mod for Minecraft. This mod allows the game’s brightness slider to be overhauled, allowing for clear as day nights, fully lit caves, and crystal clear underwater views. Now running LiteLoader for greater stability. This section will simply explain how to use and control Gammabright. Tap G (default) to toggle Gammabright on and off. Default brightness is 1500% (MAX). If on, sneaking and toggling again will hide/show “Gammabright: ??? ?%” text. Hold the right arrow key to increase Gammabright‘s brightness by 10% per tick. If sneaking at the same time, brightness will increase by 20% per tick. Note: Max brightness is limited to 1500%, any value higher has no noticeable effect. Hold the left arrow key to decrease Gammabright‘s brightness by 10% per tick. If sneaking at the same time, brightness will decrease by 20% per tick. Note: Minimum brightness is limited to -500%, there is really no point to go any lower. Tap the down arrow key to reset Gammabright‘s brightness to default (1500%). If already at the default or at a negative value, brightness will set to 0%. All keybindings for Gammabright can be changed in the “Controls” menu just like any other keybinding. For further customization, see “Configuration” below. Make sure you have already installed Minecraft Forge or LiteLoader. Place the mod you have just downloaded (.litemod or jar file) into the Mods folder.